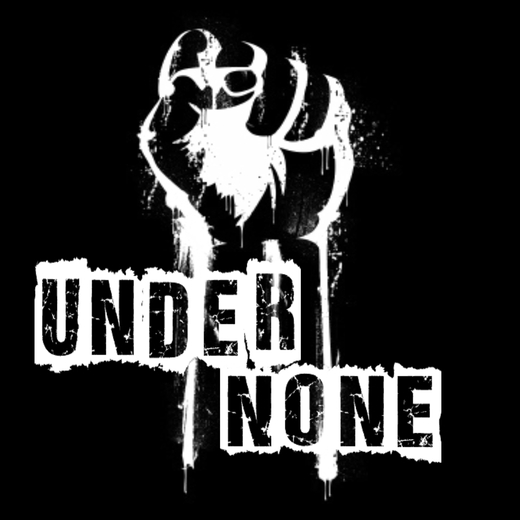 Under None is a grunge/hard-rock trio out of the Minneapolis, MN area. A heavy 90s/Grunge influence is heard in their overall sound of edgy and catchy songs with tight vocal harmonies. Gritty guitar and bass riffs locked in with head bobbing drums that summon a mixture of Soundgarden, Nirvana and early Deftones. Topped off with thoughtful and provocative lyrics that connect listeners to the stories being told. They bring raw, high energy and power to the stage with their 100% Do-It-Yourself attitude and punk aesthetic. Under None was named 101.7 FM's (St. Cloud, MN) Band of the Month featured on the weekly Minnesota Homegrown series. Their single "Occupy Your Life" has been played on stations across the US and they have opened for one of the top bands of the 90s, Fuel. Under None is fostering in a new Seattle Sound to the Midwest.